Our in-house recreation games are officiated by local teenagers (age 14 to 19) who are willing to step-up and learn the skills and arts of refereeing soccer. 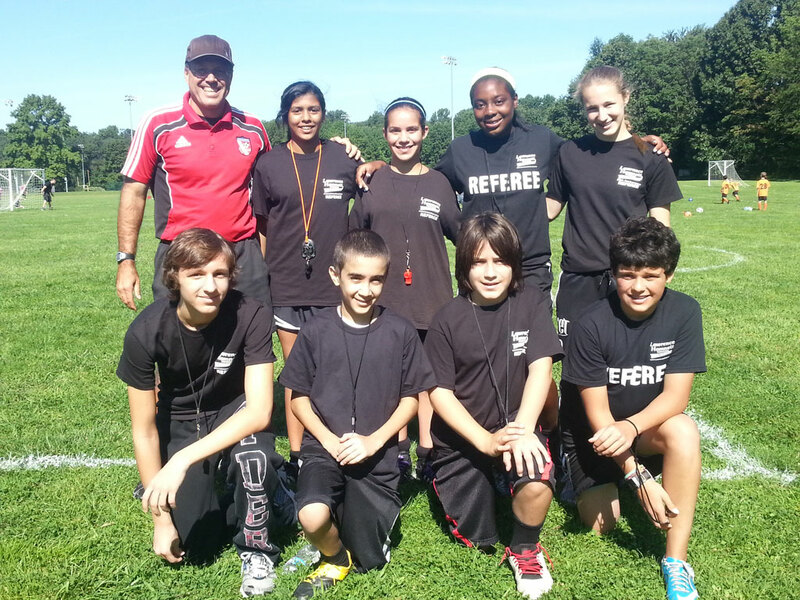 Just like the players in our club, the referees have a coach / trainer who develops their skills throughout the season. Unlike our players, the referees are paid, and for most, this is their first paying job. Recreation games are played primarily in the fall season on Saturday mornings and Sunday afternoons. One official is assigned to each game by the the . Experienced officials will typically get more assignments than inexperienced ones. 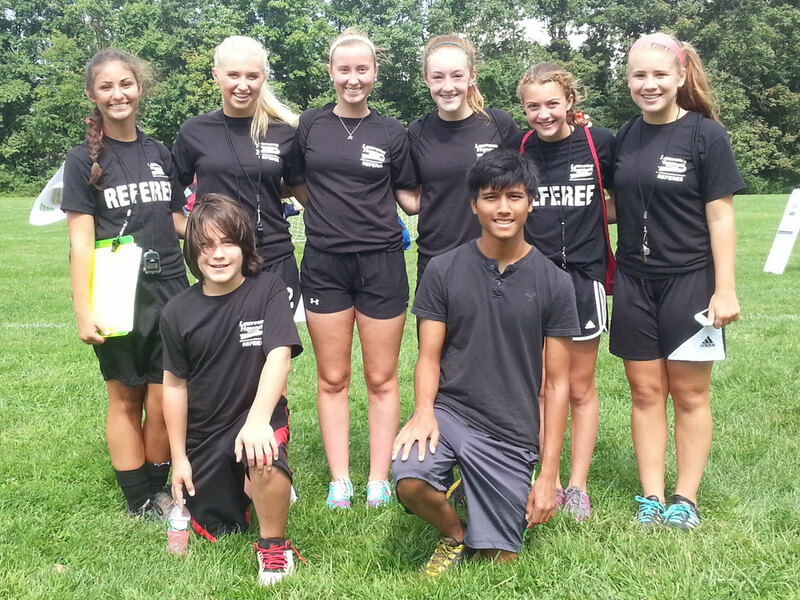 Our competitive travel games are officiated by USSF certified referees (age 16 to adult). Games are played primarily in the fall and spring. Each of our soccer teams competes in one or more leagues. Each league has a designated USSF assignor responsible for staffing games in a particular geographic region. Our home games are typically assigned by the following league assignors: MNJYSA - ; SJSL - ; SJGSL - ; MAPS - . Referees engaged by Lawrence Hamnett are independent contractors and not employees of LHSA, and are therefore responsible for their own insurance as well as tax reporting and payments (if any). Referees provide occasional services for the sole purpose officiating league games. Referees are free to accept or reject any assignment. Compensation for competitive (travel) refs is set by the league and paid by the teams directly on game day. Compensation for our in-house recreation refs is based on the age-level of the players on the field and paid by LHSA. New recreation refs may be given a black T-shirt, whistle, and card pack, if they don't already have them. All officials are expected to supply their own watch, black shorts, black socks and black footwear. Needed in the fall on Saturday mornings & Sunday afternoons, and in the spring on Saturday mornings. Our in-house league does not require USSF certification; however, it does require attendance at an LHSA referee clinic held annually (typically late August) and a demonstration by the candidate that they have read and understood the LHSA Referee Handbook. Alternatively, you can attend and pass a full day USSF Grade 8 or 9 Recreational Referee class. Our games are governed by a modified set of the USSF Soccer Rules. 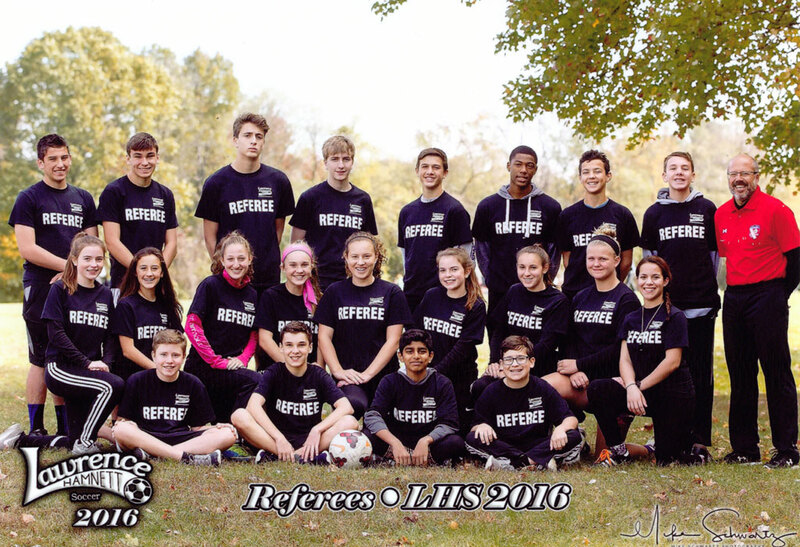 If you would like to become a recreation referee and be assigned to LHSA games this fall, then please send your name, your parents′ names, and all contact info for both to our referee trainer at . Needed in the fall and spring primarily. To officiate our competitive league matches, you will need USSF certification for the current year and must also alert the league assignor(s) that you are available to officiate. Games are governed by a modified set of USSF Soccer Rules as decided by the league that schedules the match. An entry-level class for competitive referees requires that you first study and pass an online test and then attend two days of instruction. You can register for these classes and find additional information at the New Jersey State Referee Committee. Annual recertification is required. Our club does not organize high school or college soccer teams and matches, which are governed by a different set of rules and require additional referee training. To learn more about high school officiating visit www.nfhs.org/soccer; and for college soccer officiating visit www.nisoa.com. 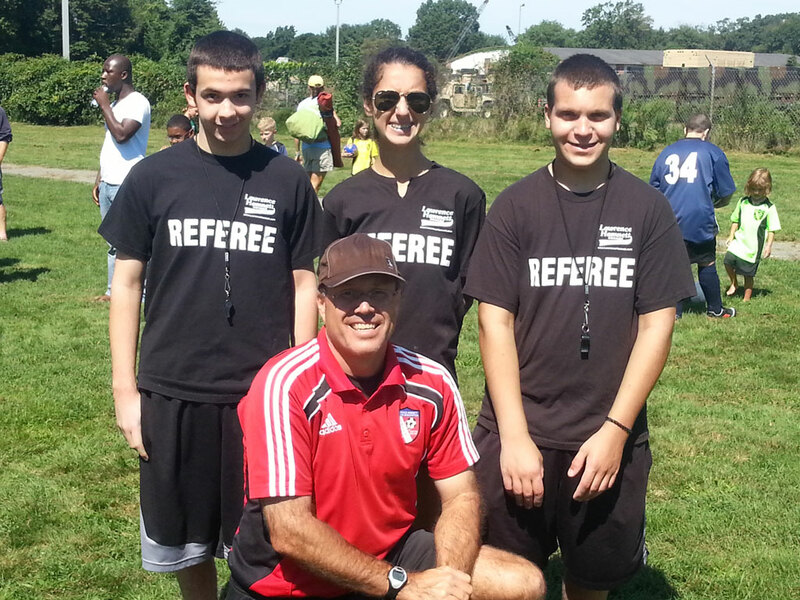 Our recreation referees are also trained and encouraged to officiate 5v5 soccer matches for the Special Olympics of New Jersey. SONJ is headquartered right here in Lawrence Township, and has numerous matches in Mercer County every Saturday in September and October. Each match needs a single referee, and presents a unique opportunity to share your true love of the game with the most enthusiastic players you'll ever meet. 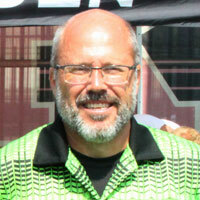 Our referee program is managed by Kirk LeCompte who started officiating in 1983, and who still officiates matches for USSF youth and adult teams, NFHS high school teams, and NCAA college teams. LeCompte has a 360 degree appreciation for the game as an active referee, youth coach, competitive adult player, and league administrator. Please if you have a question about our referee program. As a referee you can expect challenges that will test not only your knowledge of the game, but your skills in communication, conflict resolution, problem solving and decision making. As your skills improve, you will be given more challenging games to officiate. Former referees tell us how the opportunity helped them to gain confidence and strength of character while proudly serving their local community.